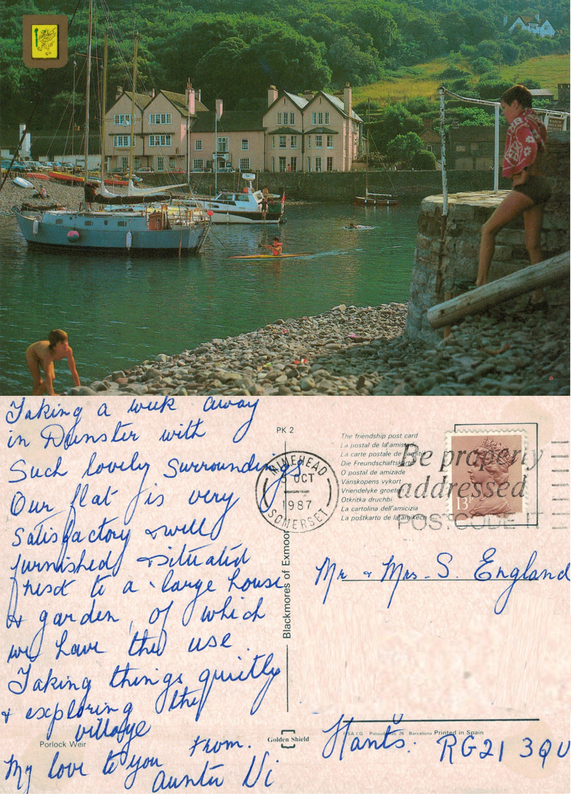 Here’s Great Auntie Vi again; she loved Somerset and visited the county most years. It sounds as though she and her companion are very pleased with their choice of holiday let; character combined with ‘mod cons’ (modern conveniences), presumably a TV and possibly a washing machine! Although she mentions The Rock House Inn, it is unlikely that Auntie Vi frequented it, being of the generation of ladies that hardly visited pubs, and certainly didn’t enter them unaccompanied by a man! The top left picture is of ‘The Caravan Club’ park; an interesting choice of subject matter and a handy bit of free advertising for the CC The site still features on the CC website (2016). The postmark date is ‘EXETER DISTRICT 23 JNE 1992’ The 18p stamp was the cost of sending a postcard second class in 1992 (this is approximately 35p in 2016). 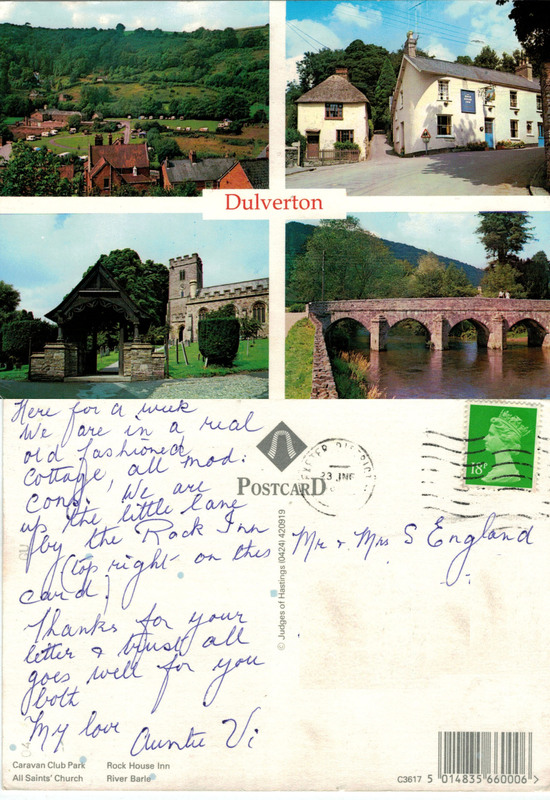 Dulverton is mentioned in the Domesday Book so it is full of historical interest. Auntie Vi would have been in her late seventies at this time, still enjoying a full life, but sadly her health deteriorated a few years later.